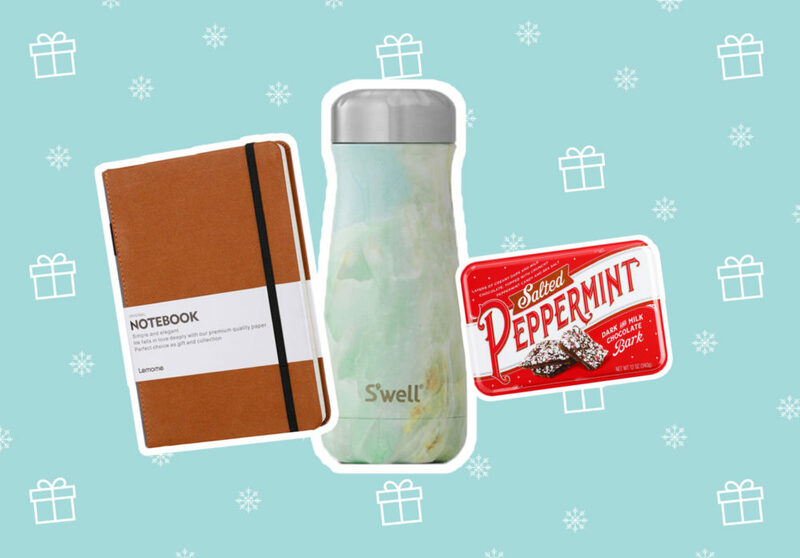 If there’s one person who’s notoriously hard to buy gifts for, it’s your boss. The age-old question of what to get them pops up every Christmas. This present has to be special, appropriate, thoughtful, and show your gratitude. Easy, right? Just thinking about it can be a little stressful. On one hand, a gift for your superior should prove you’ve been paying attention to the personal insights they’ve shared with you about their lives. 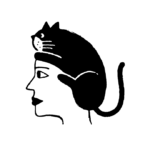 Is he or she a coffee snob, pet owner, parent, wine lover, chocoholic or travel enthusiast? Perhaps it’d be a good idea to buy a gift that reflects that — without it being too personal, of course. On the other hand, you also want this gift to signal how much you appreciate their guidance and support — especially if they’re the mentoring kind. And finally, there’s your budget to consider. Since we know you’ve got a lot of people to buy for on your list, we kept the price point on the lower end for all the gifts below. Ahead, we’ve got a mix of items that will bring a smile to your boss’s face. Some may consider this kissing up, but hey, a little holiday cheer never hurt anyone. And can you say “promotion”? All jokes aside, a great boss is worthy of a great gift. 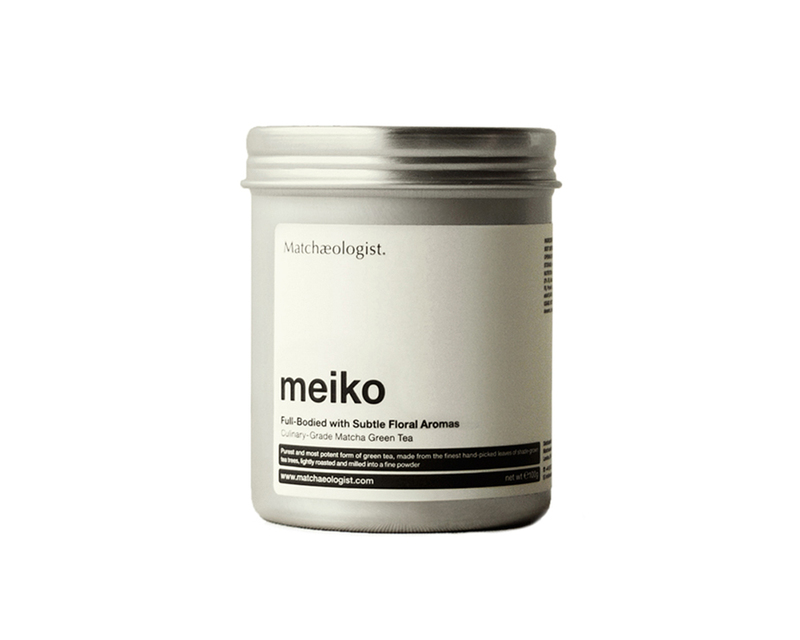 For the health enthusiast, we’ve got matcha mix for an alternative to the office coffee maker. 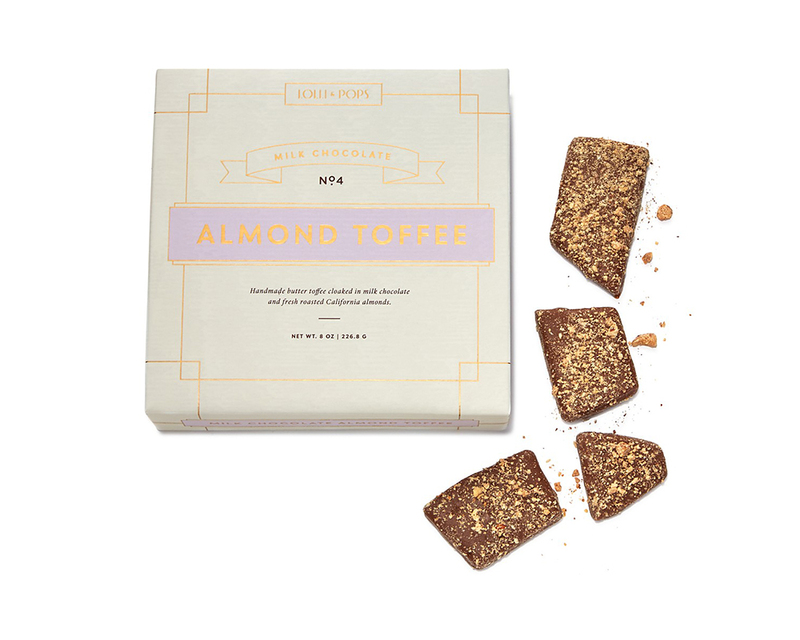 For those who enjoy the occasional sweet treat, there are tasty almond toffee chocolates, which have our mouths watering already. 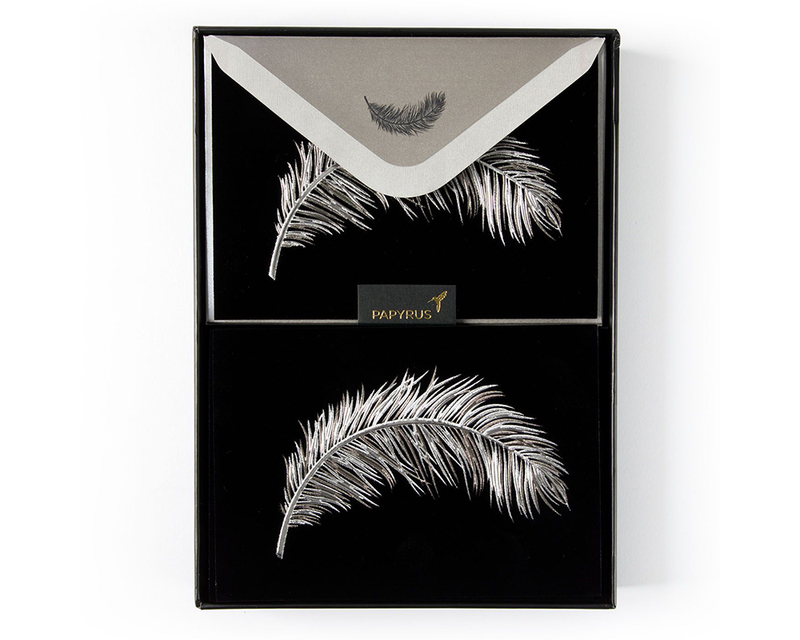 For the boss who’s very into networking, there’s also a very suave-looking business card holder for taking along to events, client meetings, and beyond. With these selections, finding the right gift for you boss will be a cinch. Now, all you have to do is pick the packaging. For the boss who’s serious about health, this is the ultimate gift. Matcha tea has tons of health benefits — everything from providing a “calm” energy boost to better metabolism and more. On the other hand, for the boss who doesn’t mind indulging every now and then: delicious chocolate treats in simple (and yet elegant!) packaging. 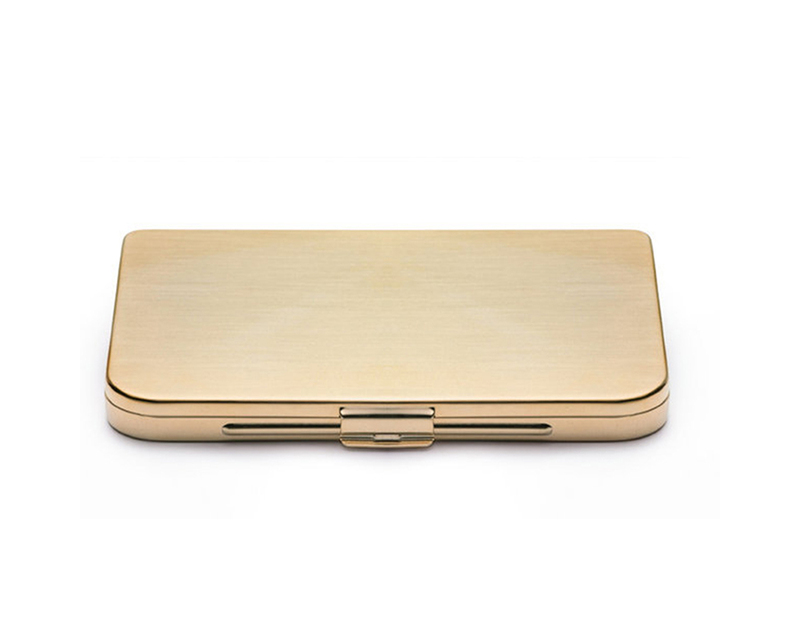 Practical and sophisticated, this card holder is a great present for the serious professional. 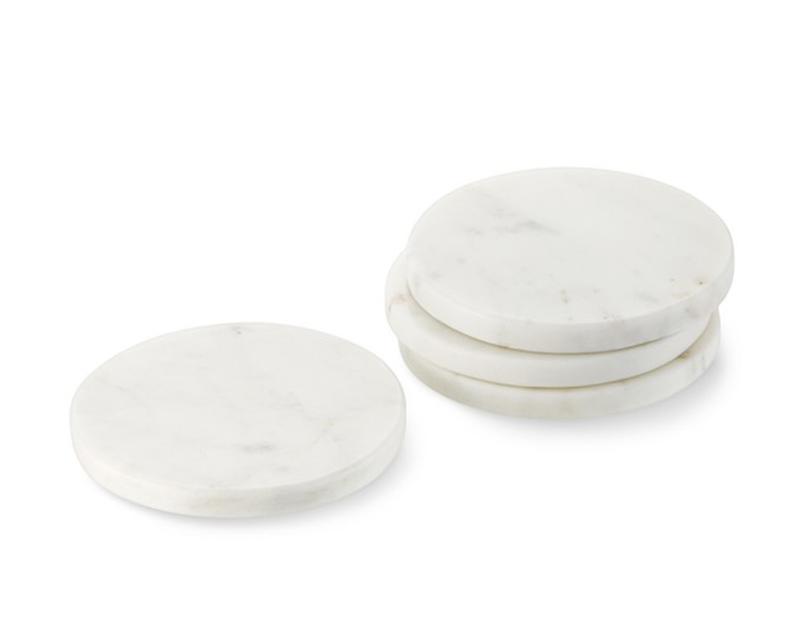 The white marble trend is still going strong with this affordable coaster set your boss will love. 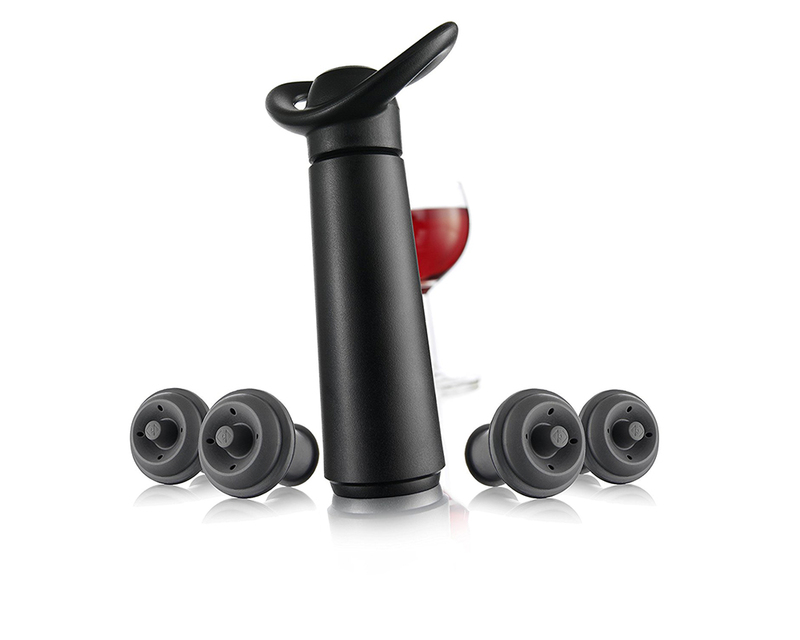 A best-selling item on Amazon, this handy wine saver removes air from opened wine to keep it fresh for longer. 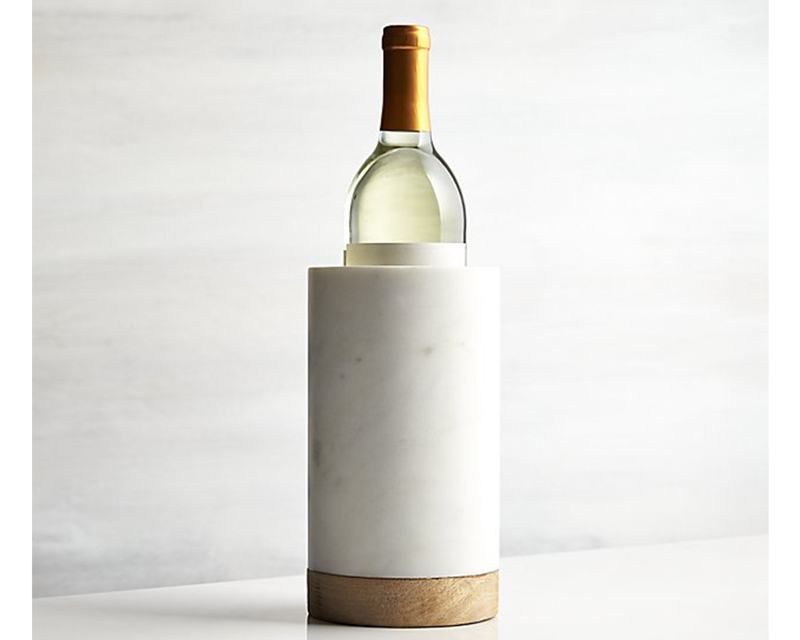 Continuing on with the wine theme, this stylish marble vase acts as an insulator for keeping white wine or rosé cool for hours. So chic, so useful. When you are absolutely stumped about what to get, a classic journal is a great choice. 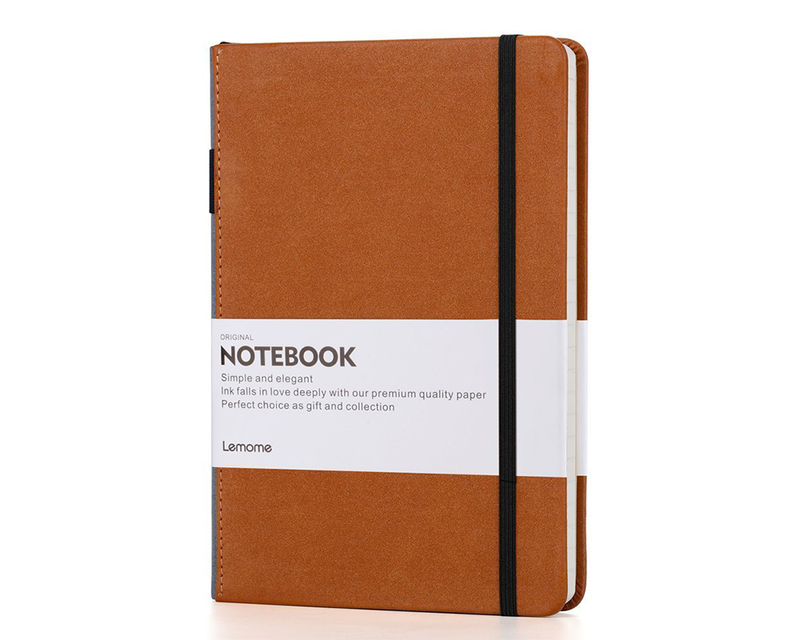 This Amazon best-selling notebook has wide-ruled paper and a sturdy hardcover for protecting precious notes. 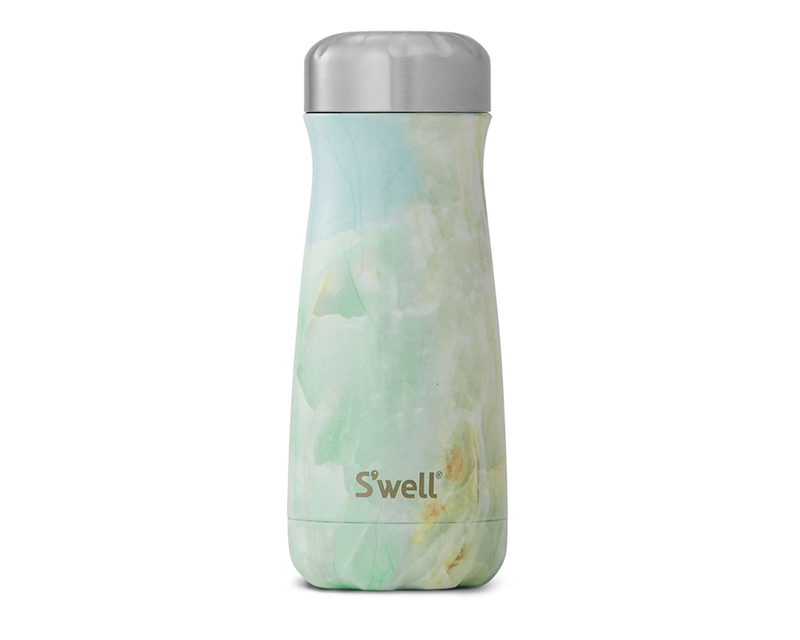 From the S’well Traveler Collection, this container keeps drinks cold for up to 24 hours and hot for up to 12. There’s just something about owning nice stationary. With these blank cards, your boss can send a heartfelt hello or thank you at the drop of a hat. Does your boss need a break? 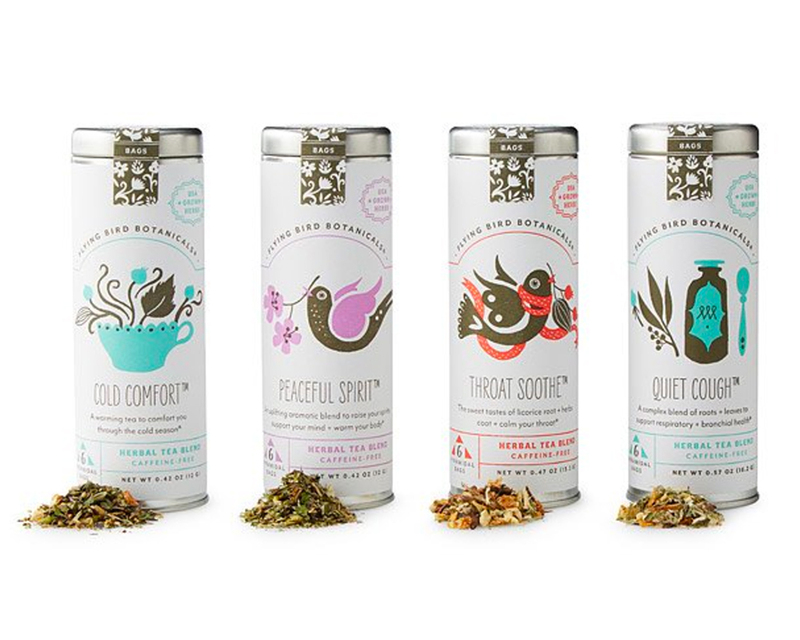 Give him or her the gift of relaxation and stress-relief with this spa experience tin. 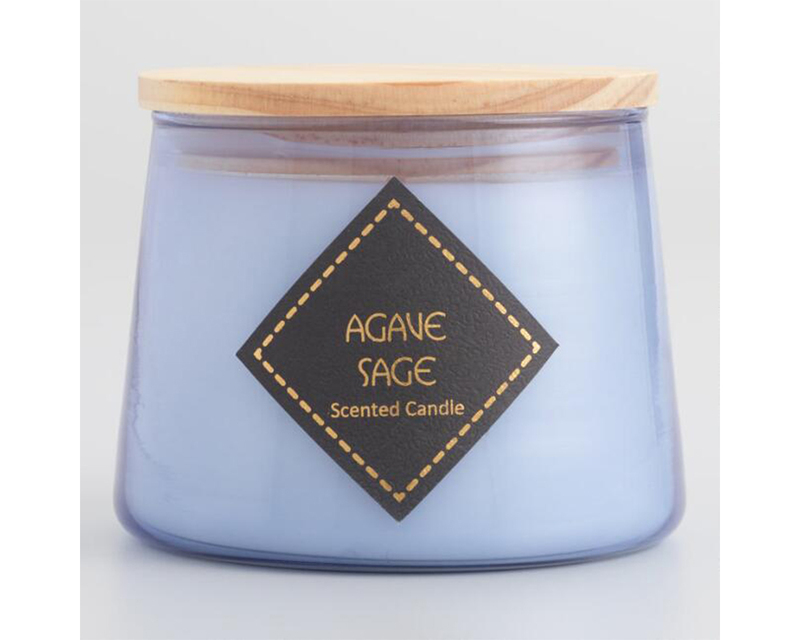 Candles are always a good idea. If your boss is a big tea drinker, this pretty tea set is just the thing. 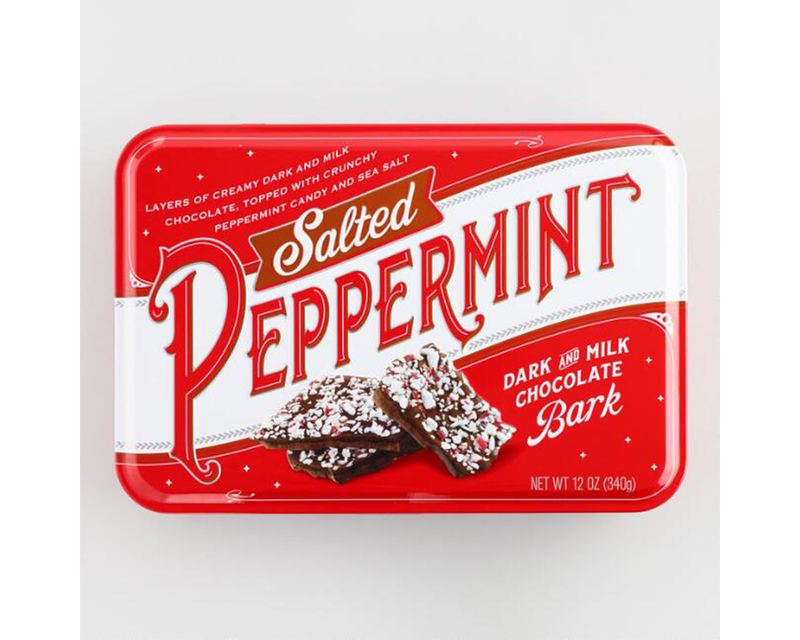 Few desserts say happy holidays like peppermint bark. 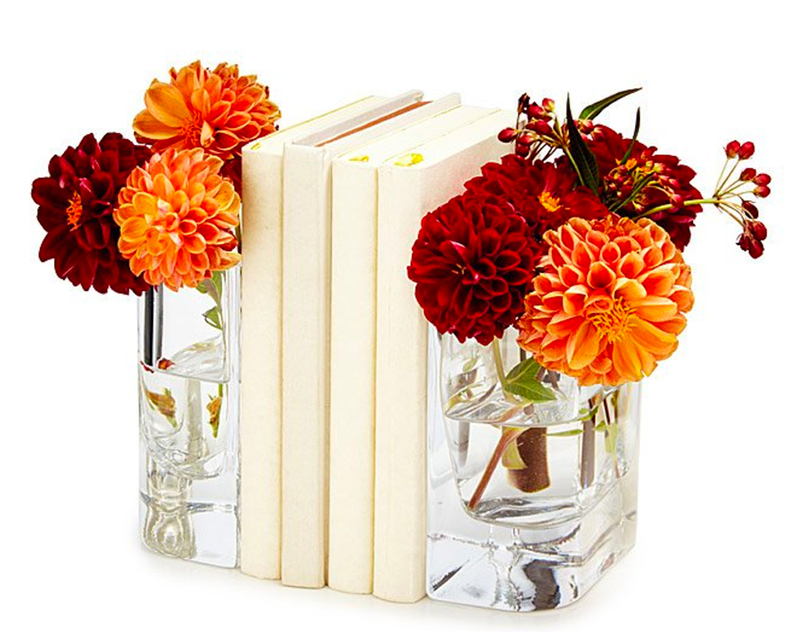 We’re obsessed with these vase bookends, which can hold flowers or pens and pencils. We have a feeling your boss will love them, too. 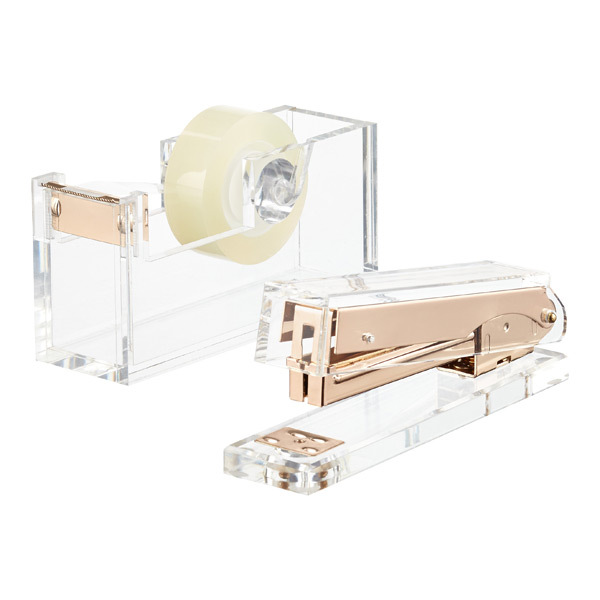 These are similar to this stunning Kate Spade stapler + tape set, but at a fraction of the cost. 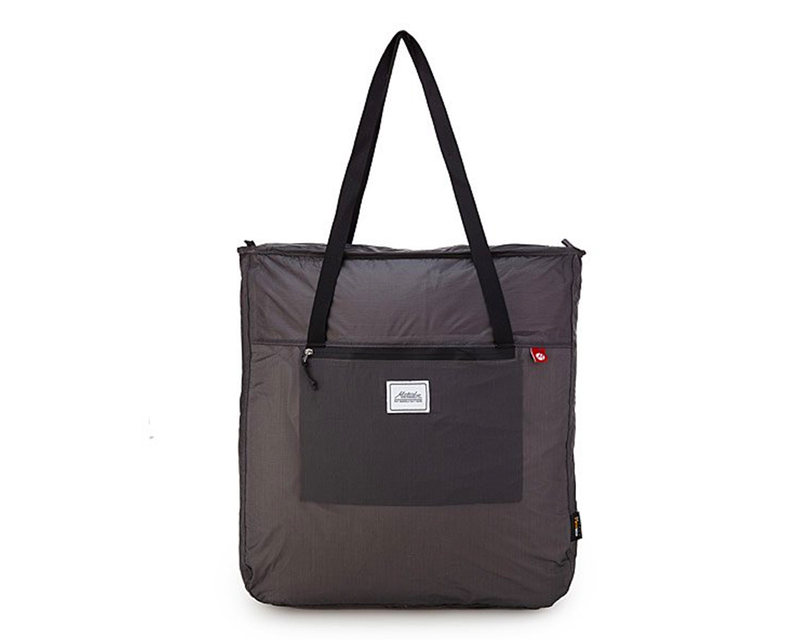 For the practical boss (or the one who travels a lot), this packable tote folds up to be pocket-sized when stowed and expands to hold over 18L. Last but not least, a classy mug to keep in the office is always a good idea. 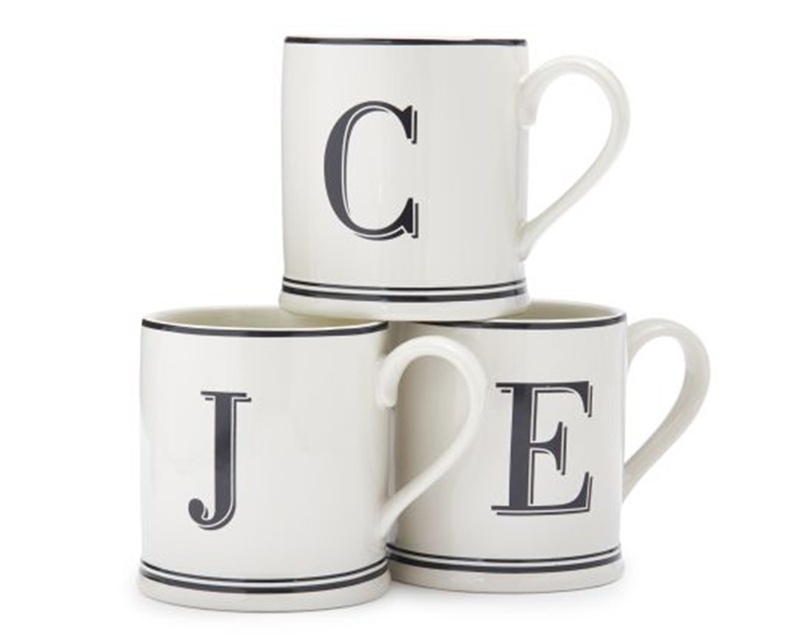 These are monogrammed for a more personalized touch.